Preventing moisture ingress under tanks is a global problem. Most companies use a cheap caulk or bitumen sealant. This usually lasts a season or two. 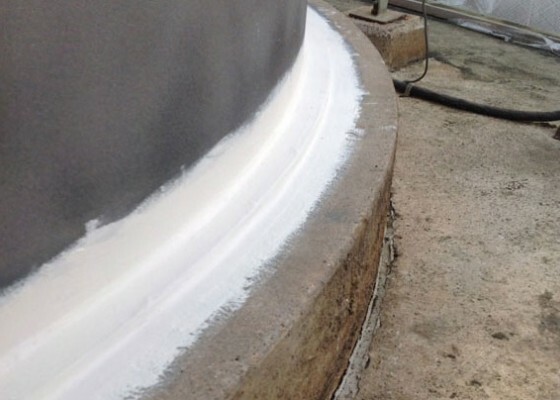 Contracting & Materials, Inc. has perfected a tank sealing method using a flexible and waterproofing system. The materials bond to the concrete tank base and the metal tank chine to prevent moisture from corroding the bottom of the tank. We offer 5-year warranties with this solution to your tank base corrosion problem.